Losing projects in home lab. Kickstarter for labeling projects with RFID. Dave did a bunch of videos with Richard at the Canberra Deep Space Communication Complex. Scott Shawcroft talked about compiled vs interpreted languages and the comments section was helpful too! You can buy teeshirts today! ARM up for sale again? 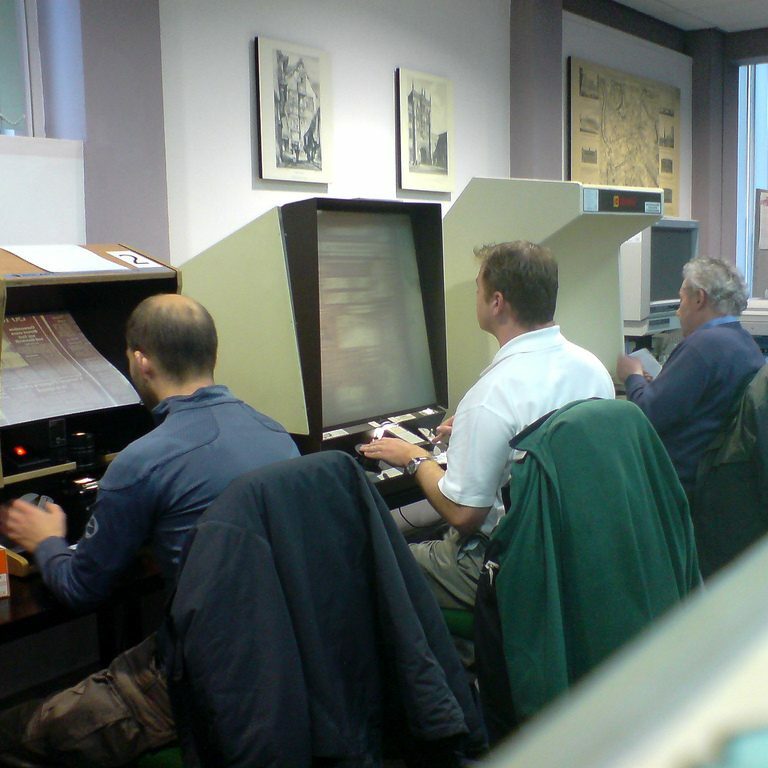 Thanks to wikipedia for the picture of the microfiche! Tesla LIDAR fail or UBER fail? Conversational topic: Tesla 3 uses a massive percentage of the battery capacity each charge cycle compared to the Model S. Wouldn’t this imply significantly fewer charge cycles? “If you’re not living on the edge…” saying is an old proverb that’s been quoted by everyone from Sammy Hagar to Lou/Jim Whittaker and was even in a Nickelback song.. “This Afternoon”. Funny how it implies that anything more than a handful of people are too much. Ok, I looked at the new proposed logos… guess which one is STILL the best? This would not be the first time that Mac computers changed CPU architectures ( https://en.wikipedia.org/wiki/List_of_Macintosh_models_grouped_by_CPU_type ), in fact it would be the third (or arguably fourth). The first was from M68K to PowerPC back in mid 90’s. Then they changed from PowerPC to Intel x86 around 2006. And a little while after that they switched from 32-bit x86 to 64-bit x86 aka x86-64 aka x64 aka amd64 aka amd_64. I would assume if they changed it would be to some ARM derivative like they use in all the other iDevices. I would assume there is a LOT of shared code between iOS and Mac OS X. This shared code would mean the transition should be a lot closer to just ‘recompile’. They probably have all the ‘driver’ code to interact with ARM specific devices already. There are three areas where this could be problematic: Software, Hardware, and hardware-specific-software. Software: There is a lot existing software for macs that is compiled for x86. Think photoshop, office, …. The vendors would need to recompile their code (and deal with any porting issues) for it to run natively(i.e. optimized/fast) on the new CPU. As a transition Apple could provide an x86/x64 emulator to run the old programs. This is what they did in the PPC->x86 transition. Software engineering has improved over time, so it is easier to make portable software. Also, the culture of ‘updates’ means getting people to move to newer/recompiled versions might be easier. Hardware: The main area where Macs use hardware that is not controlled by Apple is video cards. Back in the PPC days you needed to buy special versions of video cards that had firmware that worked on Macs. This might even have been true for a while in the x86 days. Things like EFI are supposed to make this kind of thing a thing of the past. Is it? I am not sure. hardware-specific-software… aka drivers. Basically following on from the last point, will the vendors (intel/amd/nvidia) be willing to (help?) create drivers for the new architecture? Regarding the Apple/MacOS change: MacOS uses the Darwin kernel which is used by both Macs and iDevices. The Darwin kernel already supports both 32- and 64-bit ARM architectures. So the operating system can be basically recompiled as-is because they have already written the hardware-abstraction-layer for the kernel. ReL Episode 387 notes: Dave talked about Uber LIDAR failure – not Tesla LIDAR failure.